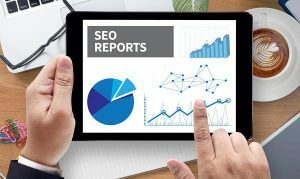 When we talk about creating SEO reports for your team members and clients, it can be difficult to strike the right balance between the most relevant information to include and what they want to see. More importantly, you need to show your clients that what you are doing is working and generating results that positively support their business. ♦ Are they aiming to generate more traffic for their site? ♦ Improve search engine rankings? ♦ Are they willing to target specific keywords or willing to enter into a new market segment that is more likely to increase their revenue streams? Regardless of the specific business objectives of your client, it’s essential that you create reports that are short, straightforward and easily understandable. If a report is too lengthy your client is likely to lose interest. While on the contrary, if the report is too short or doesn’t include the relevant data for them, they may soon say goodbye to your services. What’s the best way to do it then, you ask? Well, we asked the same question from the SEO Experts. They told us that if you Hire Web Developers, you’d soon discover that they adopt a very creative approach when it comes to compiling SEO data. Their experts like to think of creating SEO reports as if they are writing up an experiment. SEO Experts work their way through all the number crunching and data graphs by writing down the goal or problem they are trying to solve, a hypothesis about what will help them achieve their goal or solve their problem, and the strategy to follow. All of which leads to setting performance indicators for their team, track progress and set up new objectives and goals. 1. What goals are you aiming to achieve? The very first step in any venture is to determine what you are aiming to achieve. You need to outline your current SEO goals very clearly for your client. For instance, your goal can be to improve rankings or specific keywords, improve overall search visibility, or to generate inbound links. Apart from just communicating the SEO goals, you need to explain how these goals will impact your client’s business. 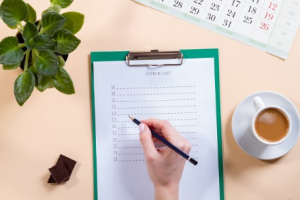 By outlining what objectives you are working towards and why will not only help give direction to your report but also match with your client’s expectations. 2. 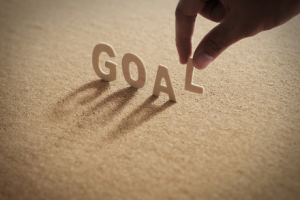 How will you achieve your SEO goals? How you plan to achieve your client’s business goals through SEO is something that is pivotal to creating relevant reports. What steps do you need to take in order to ensure your client’s business goals and expectations are met? For instance, if your client is interested in attracting more organic search traffic to your site, you’d want to focus on improving their specific keyword rankings. But how do you do that? Here’s when you define your plan of action and recommend steps that you think are most likely to create the desired impact. Time to outline what goals you have achieved so far. Here, you’ll list SEO goals you have already accomplished I.e. resolved 404-page errors on the site, fixed missing meta descriptions, and the pages which have been optimized for specific keywords. Like everyone else, your client is also interested in knowing how much return is their investment in SEO generating. Make sure to include enough details in your report to show just how effective have you been already. 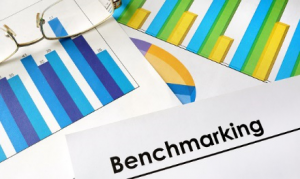 This section of your report is to show some real, measurable data to your client. You have talked them through about what you are helping them achieve and how you are doing it, now it’s time to outline the results of your labor. ☞ Record keyword performance: you need to show your client which of their keywords have improved in search engine rankings, and how their search visibility has improved over the time. However, to maintain transparency, it is also important to include data about the keywords that didn’t perform as well. You can outline the course of action that will help your client tackle these low-performing keywords. ☞ Page optimization: your report needs to highlight details of how well optimized the site pages are for their respective keywords. In fact, you can make use of different tools to collect data I.e. improvements that have been made to certain site pages, and how rankings have improved for these keywords that will help add more depth to your SEO report. ☞ Inbound Traffic: showing your client how much volume of traffic is now visiting their site is a simple way to show off the progress you have made so far. If possible, try to point out the source that has led to this increase in traffic. Whether it is from better keyword rankings, backlink generation or other aspects of the work that you have done for their project. ☞ Links generated: If one of your goals is to generate backlinks for your client, this is the right time to show what you have achieved. For instance, if you are more concerned about quality rather than quantity and are focused on acquiring links from high-ranking sites, you’d want your client to know that. You would also want to include details about how your strategy will help your client achieve their business goals overall. Once you’ve outlined all the details about the goals you are working on, why they matter and how you are planning to achieve, it’s important to outline what your client can expect to see next. Brief your client about what you are working on, and how you are aiming to tweak your approach to the achievement of next goal. Lastly, before you dispatch that report to your client, make sure to review it to confirm it’s stating the right facts and showing the true picture.